In the early 1990’s, Tom Blackburn, Alan Crossland, Mark Murray and Kevin Powell set up their instruments in a Barn in Acuff, Texas. What emerged was an unique blend of progressive rock, math rock and West Texas grit. The original stereo mixes have been lovingly remastered for Sonic Biscuit by ace engineer and former ‘Byte’, Alan Crossland. Recorded and mixed at Don Caldwell Studios - Lubbock, TX and South Plains College - Levelland, TX. 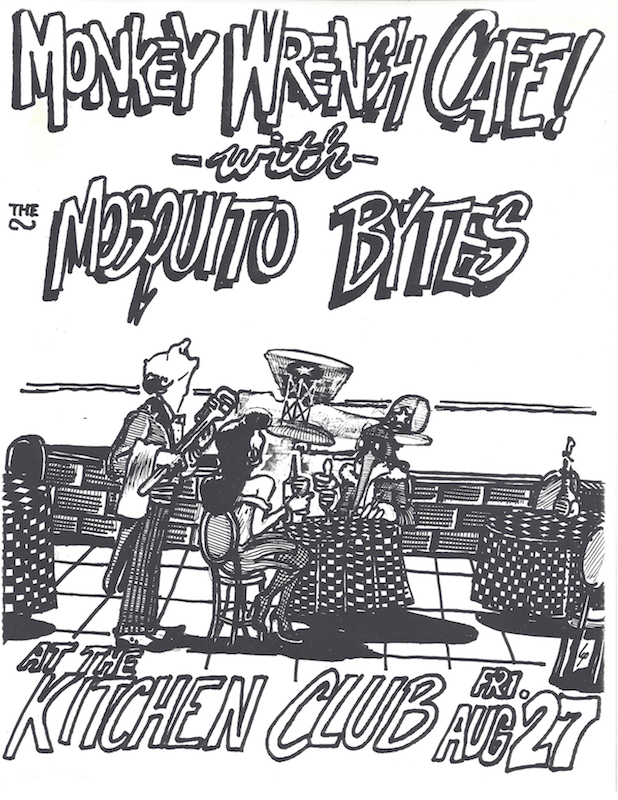 I don’t remember all the details of exactly what pulled this group of musicians together, but here’s how I recall the birth of Mesquite-O-Bytes. After Asparagus Nightmares dissolved, Tom and I played together in a cover band called The Warren Commission with Richard Barnett, Bob McLane, Cindy Murray and Kevin Powell. We managed to work pretty regularly with that band and despite my best efforts to slip some originals into the set list, we were having much better success with our cover tunes. At some point, Tom got worn out with the cover gig and departed the band. Everyone in the band agreed we didn’t want to go through the process of trying to replace him, so we called it quits. I quit playing for a while and started concentrating on my engineering/production career. I was still working out of Caldwell Studios at the time, and the studio had recently hired a young audio engineering student from South Plains College named Alan Crossland. He was a drummer who had been playing around town with a country band or two. I found out he was a fan of the band Yes, but was otherwise pretty much uninitiated in progressive rock. We developed a close friendship and started getting together at my house to listen to records and play computer games. He was a sponge for all the Gentle Giant, Brand X and King Crimson I could throw at him. Meanwhile I was spending a lot of my free time writing music in my new MIDI studio I had set up at Caldwell’s. Tom, Kevin and I were starting some dialog about wanting to put a new original music project together, but were uncertain as to who we wanted on drums. After some head scratching, I suggested we give Alan a try. Alan was hesitant at first because he had never played prog rock and was uncertain of his ability, but i coaxed him into it. We first started getting together at Kevin’s house. He and his wife had a spare bedroom that was conscripted for our rehearsals. And so it began, another left field prog rock band playing in the spare bedroom of someone’s house. It didn’t take long for everyone to get comfortable with each other and the tunes began to flow pretty quickly, as did the general band antics and fart lighting contests. Unfortunately, the future wasn’t very bright for this little band. Kevin’s wife found herself unemployed and wound up taking a job in San Angelo. So our bass player and his family moved away, leaving Alan, Tom and I without a bass player or rehearsal space. The barn began to become a regular weekend hangout for us and it added some pretty cool ambience to our creative process. First off, being a good distance from any neighbors, we were able to open up the big barn doors and jam without disturbing anyone but Alan’s parents. Fortunately they were very supportive of our noisey exercises in the barn and never complained about the disturbance. Another great/not so great feature was the abundance of insects, toads and other fauna that provided much needed distractions during our rehearsals. It was always fun to look down in the middle of a song to find a toad hopping across the floor, munching various june bugs as it made it’s way through the barn. 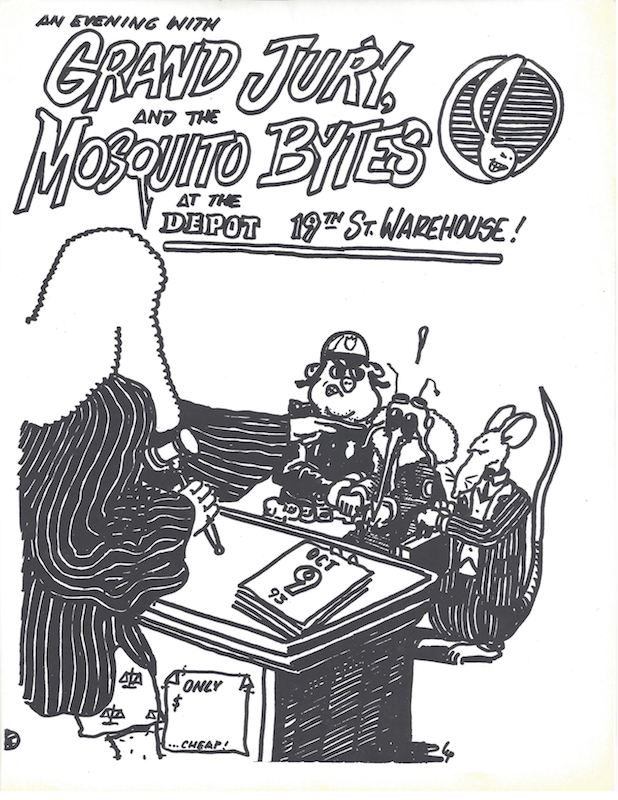 So this place became the incubator for the band soon to become known as Mesquite-O-Bytes, a name derived from the local environment with a technical twist and a large dose of tongue-in-cheek. With our commuting bass player and a semi permanent place to rehearse, it was time to get to work. We rehearsed long periods every weekend and the music got more complex as we honed our writing and playing skills. Alan was blossoming as a prog rock drummer and I was able to let him hear musical ideas as they were developing in my MIDI studio at work, so he was never caught off guard at band rehearsals. Kevin didn’t have much of a social life outside his family in San Angelo, so he had time on his hands to develop his slap bass technique that added an important signature component to our sound. With Asparagus Nightmares and Philosophic Wax in his rearview mirror, Tom’s guitar technique was at it’s prime. To date I don’t know that I have ever played with a guitar player more effortless than Tom during this time period. There was simply nothing I could throw at him that he couldn’t play and with my computer assisted composition studio, I was creating all kinds of stuff that was impossible for me to play. Thankfully Tom was there to interpret it into something musical. With a firm collection of songs in the repertoire and a few gigs under our belts we began to shift our focus to recording. With two professional recording engineers in the band it was only a matter of time before we were planning a fairly ambitious album project. Everyone in the band was pretty seasoned as far as recording, so there wasn’t a lot of getting used to the studio. We were ready to start digging in. We were all pretty much broke and as much as we would have all enjoyed paying for the use of Caldwell studios and Don Caldwell’s expertise as engineer and producer,we were going to have to go a different route. I was teaching in the sound tech department at South Plains College, so we had free reign of the facilities during off hours. It was a no-brainer that we should do the majority of the recording there. I wanted to be able to set up for tracking rhythm sections and leave everything in place until all the songs had been cut. This would be a real challenge to accomplish in a single weekend, but we were in luck. Spring break was right around the corner. I would have a week off from my teaching duties and Kevin could come to town and spend a few days with his parents. Problem solved. 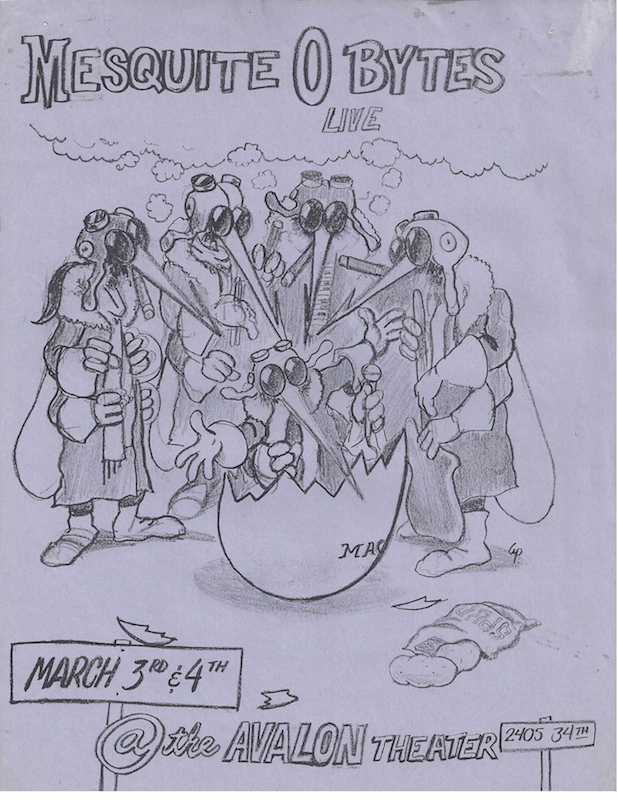 We began tracking the album the first Saturday of Spring break 1993. We were tracking using the Tom T. Hall control room with the drums set up in the small production studio that flanked the control room (later to become the Red Stewart studio). We recorded using a Sony MXP-3000 series console and MCI 2” 24 track tape machine. It was nice to have the luxury of time to really pick things apart during the recordings and play with mic placements, etc. Another real advantage was having ample audio engineers. Alan and I could swap seats at the console, but we also had student engineers running around all over the place. My wife even got a turn or two at the board. One that really stepped up to the plate during the album tracking was Edward Perez. Edward was a San Antonio native and fortunately for us, he opted not to go home for Spring Break. He got to spend a lot of time with us during the early tracking of the album. A side note, Edward went on to engineer the Grammy Award winning Tejano albums of 2001, 2002 and 2004. I like to think we helped hone his chops. The initial rhythm sections came together over Spring break and we had a nice collection of songs including a rather ambitious mini rock opera called Empire. It was a piece that had slowly grown into it’s own little collection of songs that told an extended story. Tom and Kevin were also contributing heavily to the collection of songs. Tom brought a very touching instrumental ballad to the mix called Still Breeze of Forever and Kevin brought in 1:00AM Muse. In the end, few of the songs on he album truly had a single writer, everyone had a hand in the creation of these songs. With rhythm sections complete, we could relax and take our time with overdubs and vocals. And so we started a months long process of fleshing out the tracks we captured in the Spring. Since we didn’t need everyone in the band to be present for most of the overdubs, we were free to grab studio time at the college on odd evenings and weekends, or whenever a couple of us could get together. I enjoyed having Alan available to help track my vocals. He had a good ear for pitch and was becoming very efficient on the board. It was also nice having him engineer while I sat in the producer seat when tracking Kevin and Tom. It’s just nice not having to split your brain across the duties of engineering and producing at the same time. The barn was a great place to get the band underway, but travel time to Acuff coupled with set-up and tear down time made weeknight rehearsals unfeasible for a bunch of guys with day jobs. Kevin was recently divorced and was looking for a place to live and Alan was about ready to leave the nest. Tom and I had a close mutual friend, Manuel “Manny” Apodaca, who played guitar with us in an ensemble at South Plains College. Manny had recently gone through a divorce and he had room to spare in his house. So Alan and Kevin took up residence in the spare bedrooms and the band took up residence in the living room. Poor Manny didn’t know what he was in for. 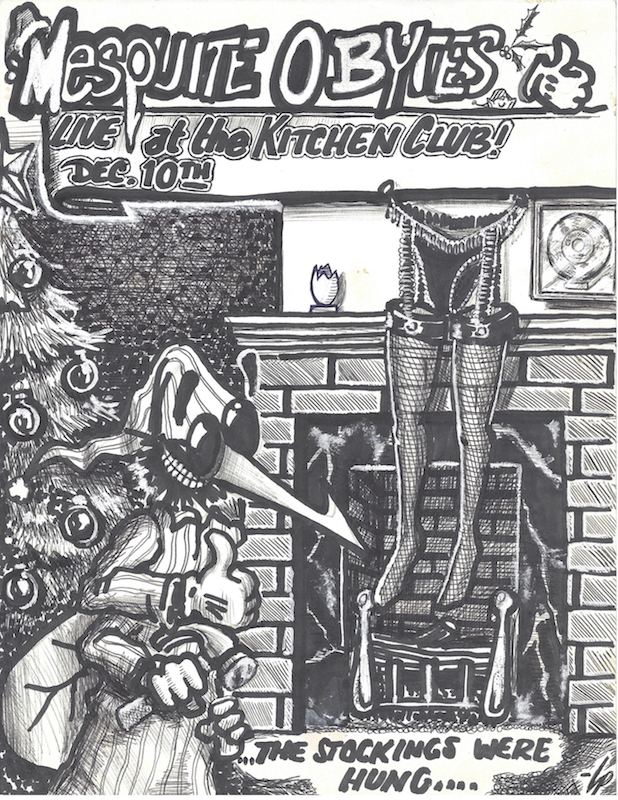 During this time we were at our most prolific and it wasn’t long before we had a couple of sets of new material. We weren’t quite ready for a full night, but we were ready to get out and start splitting the night with some other local bands. 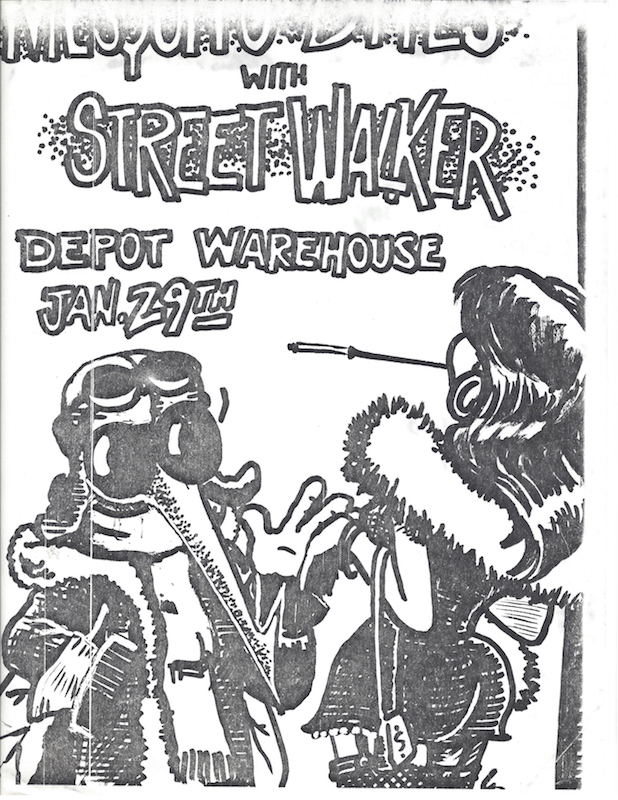 It was challenging to find other acts that were compatible with us, but we managed a few shows with Grand Jury, Spirit House and Street Walker. Soon after we were ready for a full night on our own. 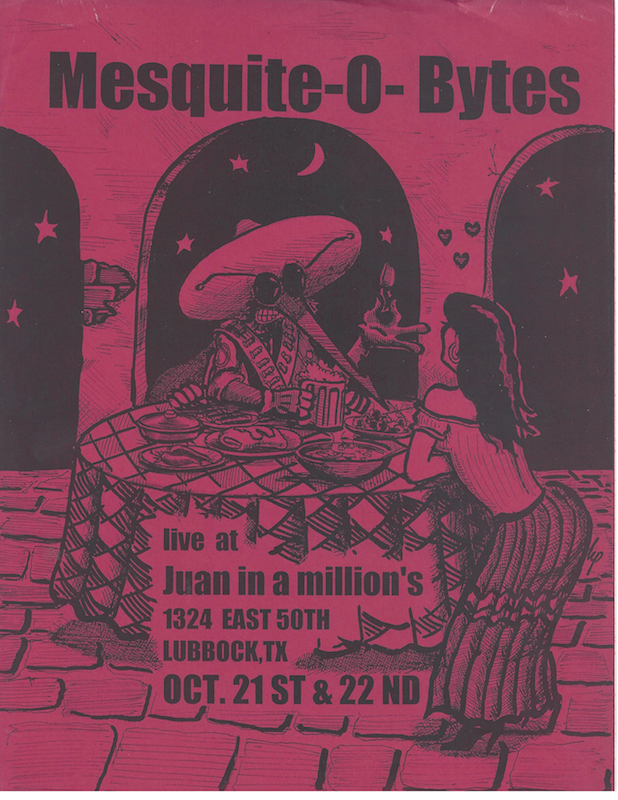 Finding an audience for our music in Lubbock, Texas was challenging. As mentioned we ganged up with other bands to fill a night at the local clubs, but our audiences never really cross pollenated well with other local acts. 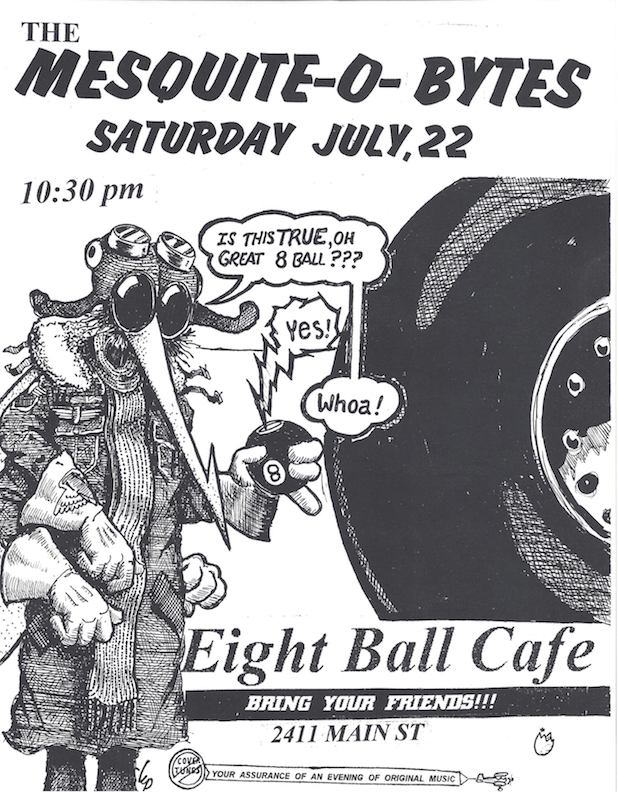 The closest association we had with another local band was a fledgeling act called Monkey Wrench Cafe. They were made up of a handful of sound tech students from South Plains College who were equally ‘alternative’ in nature. As much as we enjoyed sharing the stage with Monkey Wrench, it was very satisfying to get out and start playing a full night on our own. Little by little we accumulated a loyal following.